When you are ready to get your business up and running or launch a new product on the market, it’s tempting to cut corners to make things happen quickly. But doing so will only cause problems in the long-term, especially if you don’t carefully manage the production process. Everything from design to procurement of materials to product assembly is part of the production process. Managing it efficiently requires a strategy, deadlines, budgeting, oversight and quality control. Through production planning and control, you can better plan, coordinate, organize and control the manufacturing of your product. Production planning and control are administrative processes that are inextricably linked. Without both sides of the equation, a business can run into challenges turning raw materials into actual products. Production planning and control coordinates different processes, departments and people to ensure they are all making efficient and cost-effective use of time. Production planning is the process through which a business determines its production needs and plans for how to meet those needs. Such planning is an ongoing process that begins before production starts and encompasses every aspect of production. It includes planning the purchase and maintenance of tools and materials for production, ranging from metal and wires to large machines. It includes planning for sufficient personnel to complete and oversee each step of the process. It also includes knowledge of how much demand there is for a specific product, how much people will pay for it and how much it costs to make. Costs, both internal and external. Schedules, including the manufacturing sequence and production timetable. Production control can't be easily separated from production planning. Generally, however, the process refers to the ongoing oversight and adjustments to production a business must make, including changes to the original production plan. It requires managing efficiencies and costs in labor, materials and other elements related to production. Production control is an ongoing process, so it involves adjustments, assessments and predictions. If a production plan indicates that a business needs a certain number of supplies, for example, the production control process will monitor the availability of those supplies, request more if there are too few, or return supplies if there are too many. Production control may also involve establishing recommendations for more efficient production. Implementation of the production process through all stages. Problems or bottlenecks on the production process. What works and what doesn’t in the production process. As a practical matter, production planning and control are overseen by the same people, and many businesses don't distinguish one process from another. Those overseeing production planning and control coordinate with a variety of departments, including development, marketing and the supply warehouse. They are also likely to coordinate with outside vendors for such things as materials, graphics and machinery rentals. Those overseeing production planning and control must ensure that the completed product meets the required specifications, and looks and works as intended. Acquiring materials. Before you start production, make sure you have the necessary people, materials and machines. Depending on what you already have versus what you need to acquire, this can take a long time leading up to production. What you don’t want is to have the manpower and machines ready to go on the production start date but not have all the materials. Doing so puts you behind schedule before you even start. Production planning and control systems ensure you have everything you need for manufacturing when you need it. Continuous production. A series of events needs to happen to get a product from design to manufacture to packaging. With production planning and control, you can make sure that sequence happens without a break in schedule. If an event in the series is holding up the production schedule, you will be more quickly able to find and remedy it through production planning and control. Effective use of resources. The production cycle has a lot of moving parts. There are typically also a lot of people involved. Production planning and control help you use your resources in the most effective way, making sure you have the right people doing the right jobs, keeping them on task, eliminating redundancies and keeping costs down. You can also make sure people aren’t sitting around idly waiting for materials to arrive before they can complete their part. Meeting deadlines. Deadlines are key to keeping production moving smoothly. Without them, you could not have a realistic expectation of when things need to get accomplished. When you plan in advance, you can set smaller deadlines that need to be met before the bigger tasks get handled. For example, you can have deadlines for purchasing the materials and renting the machinery, which would both be before the deadline for creation of a prototype. When you meet internal deadlines, that means you meet your customers’ deadlines, and that keeps everyone happy. Improved communication. When there are many people and departments involved, it’s important to have everyone on the same page. Production planning and control allows you to do that. Printed schedules, online calendars, regular meetings or online management systems keep the entire production team informed and on task. If there is a breakdown in communication or one part of the team doesn’t know what the other is doing, it leads to confusion and can unnecessarily stall production. Keeping costs down. Without a budget, you won’t know how much you’ll spend on production. Planning helps you set reasonable amounts that you are willing to spend and to prioritize where you want to invest your money. Managing the budget ensures you do not go over expected costs and helps you to see where you can cut costs if you do. Quality control. You want production to be successful at every step of the manufacturing process, especially when it comes to creating a quality product. Production planning and control sets the quality benchmarks your team needs to meet and ensures they meet them. Whether through checklists, walk-throughs or physical testing, you want to make sure your product is of the highest quality. Inventory control. Make sure you always have enough inventory to meet demand, but not so much that you have unused products taking up space in your warehouse. With production planning and control, you can better track what you have and what you need. You can also better determine when you need to start up production again for a new order so that you aren't rushing to get an order filled last-minute. Morale boost. Employees generally enjoy seeing a project through to completion as much as you do. When everyone is made to feel like they are an important part of the team and that their contributions matter to the overall process, they tend to be happier at their jobs. When people miss deadlines or don’t do their part, it can dampen employee morale. Keeping everyone involved and on target has benefits that extend beyond tangible results. When your production process runs smoothly, it also reflects on the type of company you have. Smooth production planning and control means you have a company that is organized and works hard to meet projected deadlines. This ultimately leads to more sales, more profits and high customer and client satisfaction. High customer and client satisfaction further leads to more repeat business and referrals. Production planning and control is an often tedious and time-consuming process. How long it takes depends on whether you’ve done it before, how many people you have helping you and what you are manufacturing. It is a cost that is added into your overall budget, whether you use internal or external resources. To calculate for production planning and control, there are various tools and techniques to use, including graphs, charts, boards and communication and monitoring systems. The method you opt for is often a personal preference, but it makes sense to choose one that you are comfortable with. Once you select a tool or technique, you may be able to make it a template for future production planning and control processes. Material needs, availability and cost. Labor needs, availability and cost. Number of items are being produced, whether a small curated batch or enough for worldwide distribution. Where bottlenecks occur in the manufacturing process. When you would need to complete another manufacturing cycle. Your anticipated and actual budget. How complicated your calculations are depend on what is being manufactured and how you need to prepare. If you need to build a new manufacturing facility, for example, that adds an entire layer of complexity in planning that doesn’t exist if production happens at your existing facility. 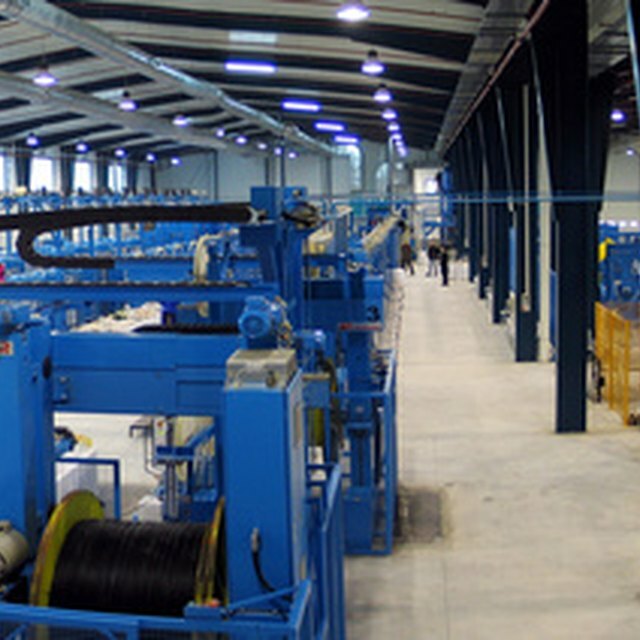 Manufacturing an item with many components, such as electronics, can take longer and be more complex to manufacture than something simple like a kite. Likewise, the quality control process might take longer for a more complex item. More complexity often means more departments and people involved, which can lead to more bottlenecks and setbacks if production planning and control isn’t in place. There are many companies you can hire to assume your production planning and control if you don’t have the ability to do so in-house. These companies typically use software that calculates production planning and control, providing you and your team real-time access and updates on the project. Software can better help you analyze and measure relevant data, such as production costs, storage and sales. It can also provide you with a variety of helpful reports at the click of a button. The benefit of outsourcing production planning and control is that you and your team can spend more time making sure all of the benchmarks and deadlines for manufacturing are met. Production planning and control is not something you can avoid or cut corners on if you have a business that manufactures goods. You want to ensure you make the best use of your company's resources and employees. Spending the time, energy and associated costs pays off for your business, both in the short- and long-term.